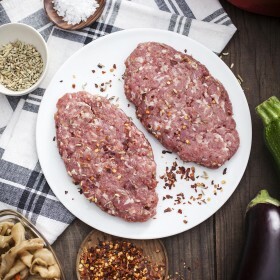 Seasoning ground meat before cooking it ensures a huge blast of flavour with every bite! 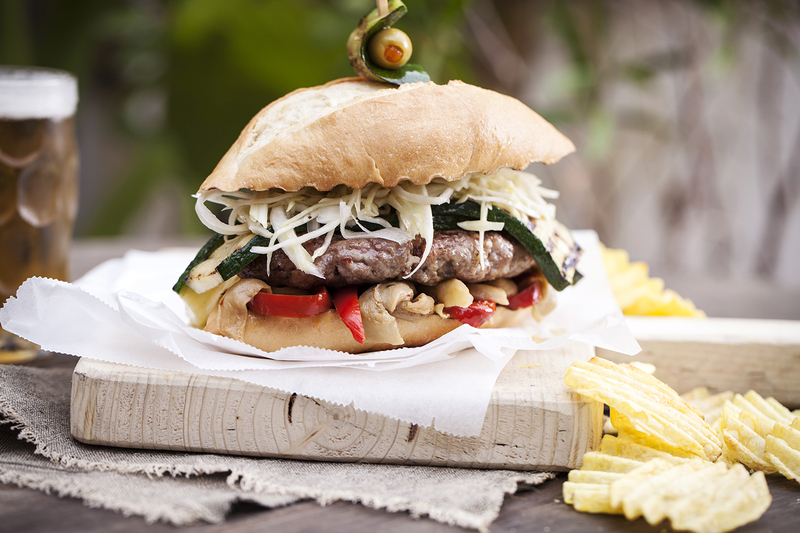 Click on the image to see our 100% pork Italian sausage burgers. 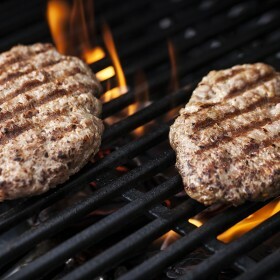 Italian sausage patties on the grill! Delicious! 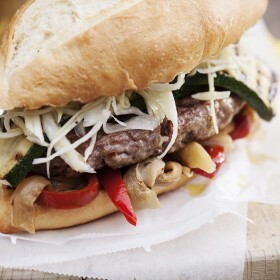 Grilled Italian sausage burger with marinated eggplant, grilled pepper, zucchini and fresh cole slaw. Spectacular! 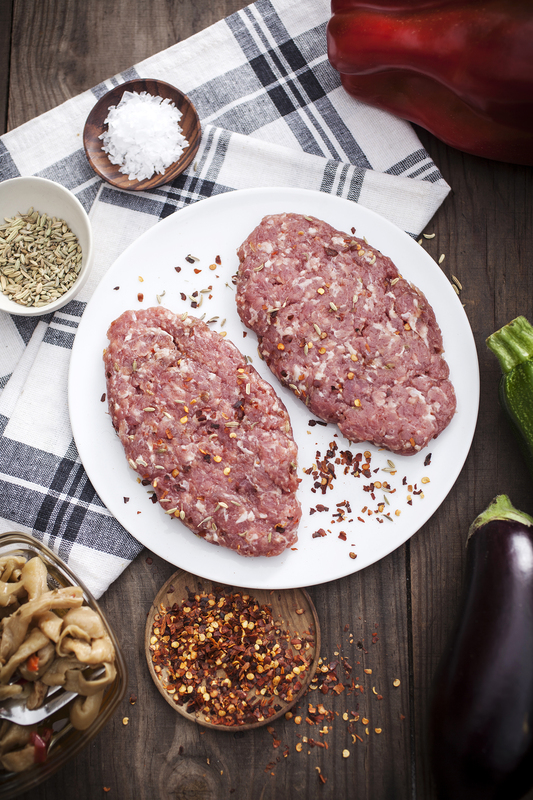 Mix the pork with the seasonings and refrigerate until the barbecue comes to temperature. Meanwhile, slice the capsicums into strips and fry slowly in a little extra virgin olive oil with a pinch of salt. Prepare the coleslaw by finely slicing the cabbage and mixing with the remaining ingredients. Refrigerate. Separate the meat into six equal portions and form into oval patties. 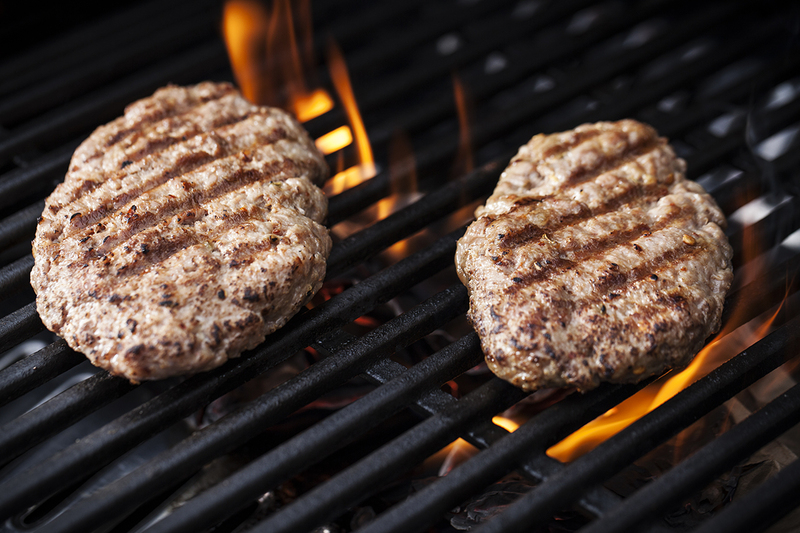 When the barbecue comes to temperature, grill the patties for about 4 minutes on either side or until you obtain your desired doneness. 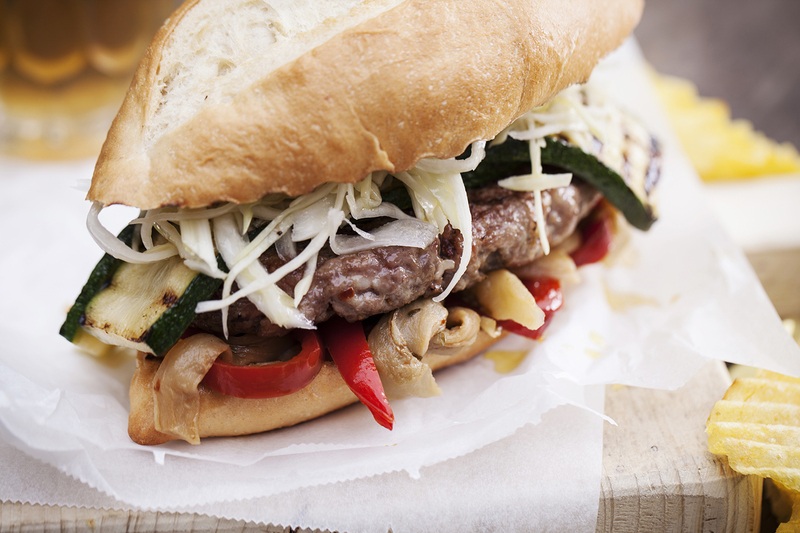 Be sure to grill the zucchini and the bread while the patties are cooking. 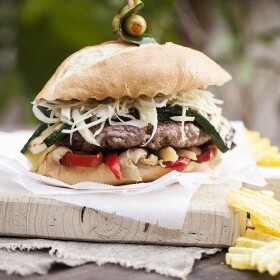 Tip: Serve with the topping and strained coleslaw accompanied by hot chips or potato chips.